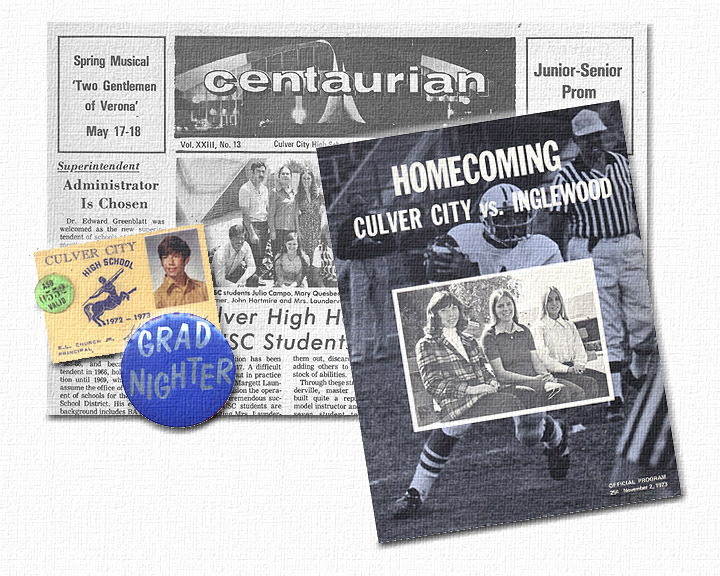 Welcome to the official website of the Culver City High School (CCHS) class of 1974 reunion. I will continue to publish this website as a point of contact for our class. Please keep us informed of any news or events that will be of interest to your classmates. Alumni: If you are new to this website, please fill out our alumni form. If you have previously filled out this form, please remember to keep your info up-to-date when your contact information changes. 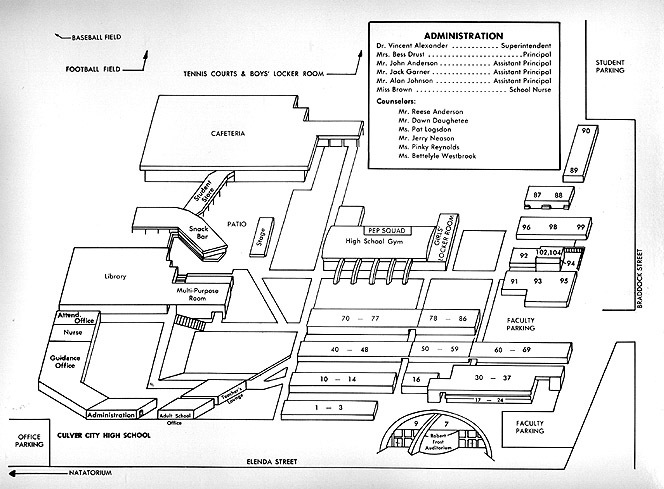 This will greatly help us for the next reunion. For the alumni that ordered the "Memory Book," I approved the copy in mid-January and you should be recieving them soon (probably mid-March). Keep your expectations low. I am also trying to find out what happened to the photo CD that some of us ordered. The reunion weekend was August 13 thru 15, 2004. We want to personally thank you all for helping to make this reunion a success. There were approximately 70 people at the Friday night happy hour at Casa Escobar. The Saturday Reunion Dinner was great, with over 150 classmates and friends in attendance. On Sunday, about 45 people showed up at Lindbergh Park for a family picnic. From the comments I've heard so far, the response is very positive. Check out our reunion photos, the attendees, and the calendar of events. For details of all reunion events, please see our calendar of events. Click here for a copy of the dinner invitation. If you didn't attend, you must have had a good excuse. If you have digital photos of the reunion or information that you would like to share with your classmates, please email here. Please keep in touch. Note: As a continuing service to our CCHS classmates, I will attempt to keep this website operating indefinitely. 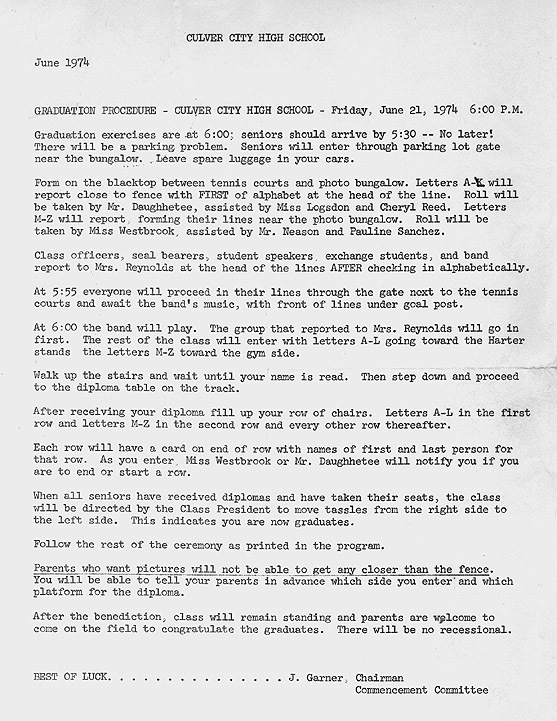 I will post photos of the reunion events and provide classmate updates and information as information is received. © Copyright 2004 Steve Manick / CCHS Class of 1974 Reunion Committee. All rights reserved.